This two-disc collection brings together a carefully curated selection of rarely-seen BBC TV productions by the leading documentary filmmakers of their day. 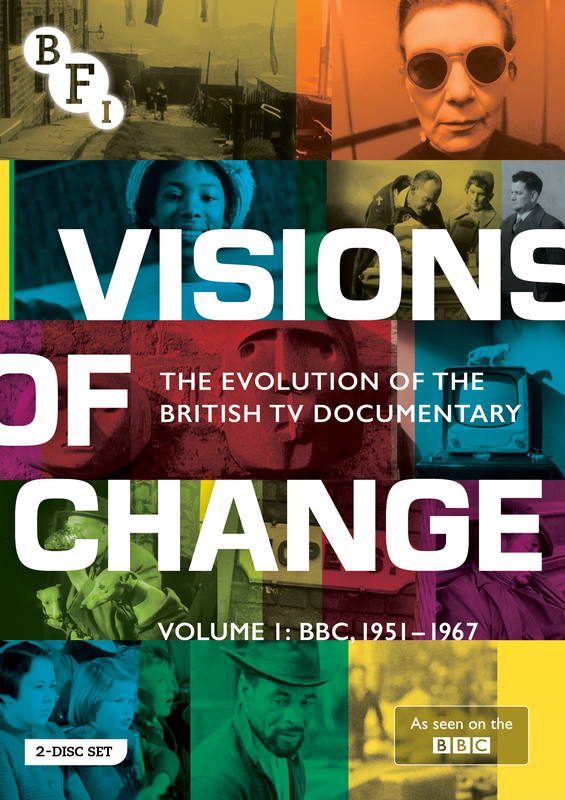 After the Land of Promise and Shadows of Progress box sets, the BFI continues its re-evaluation of the British documentary tradition with Visions of Change - an extensive collection of television films made during the 1950s and 1960s. Produced by the BBC, these rarely seen documentaries reveal how the medium of television allowed filmmakers to approach their subjects in new and exciting ways, creating work which was deeply personal, socially engaged and formally innovative. Covering a range of topics, and including films by such influential directors as Denis Mitchell, Philip Donnellan, Ken Russell, Dennis Potter and John Schlesinger, Visions of Change provides a fascinating insight into the socio-cultural landscape of two of the most formative decades in the history of post-war Britain. It includes an illustrated booklet featuring new essays, film notes, biographies and full credits.